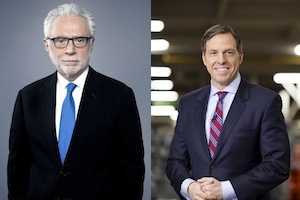 CNN’s Wolf Blitzer and Jake Tapper will hit the road later this month to moderate two important debates ahead of the November midterm elections. On Tuesday, October 21 at 7 pm and in partnership with Jacksonville’s WJXT, Tapper will join WJXT anchor Kent Justice to co-moderate a live, one-hour gubernatorial debate between Democrat Charlie Crist and his Republican challenger Gov. Rick Scott. And later that week in New Hampshire, Blitzer will join NH1 News political director and anchor Paul Steinhauser, who left CNN in August after 28 years, in moderating a debate for a NH Senate seat between Sen. Jeanne Shaheen (D-NH) and her Republican challenger Scott Brown. Microsoft’s Bing Pulse tool will track reaction to both conversation by online focus group participants.